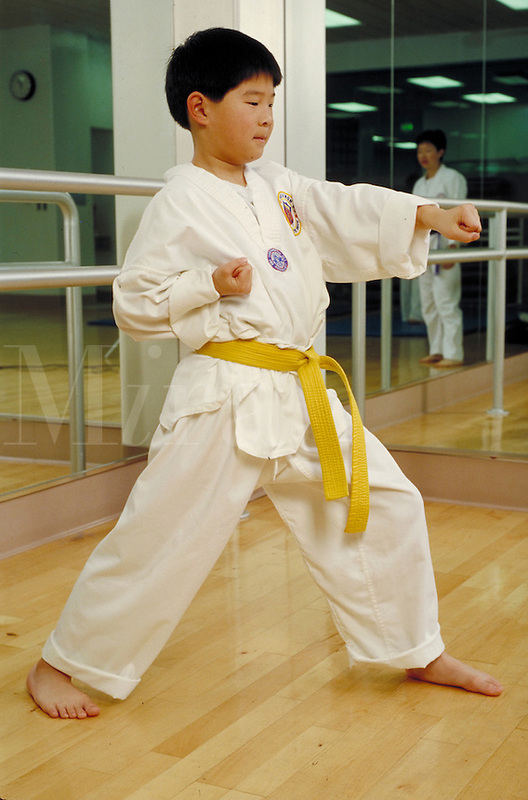 CHINESE-AMERICAN BOY PRACTICING A STANCE FROM MARTIAL ARTS. AIKIDO STUDENT. SAN FRANCISCO CALIFORNIA USA.